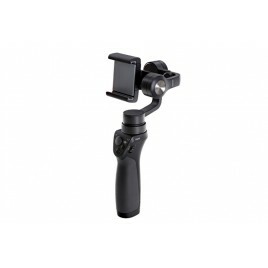 Note: Zenmuse X5 cameras require an adaptor for use with Osmo that is sold separately. This adaptor will be available soon. The size of the mobile devi.. The world’s filmmakers just got a new favorite tool: the Osmo RAW. Equipped with the Zenmuse X5R camera, it is the only compact and stabilized, cinema-ready handheld film..
OSMO Mobile 2 - share your storyM ade for the storyteller in all of us the Osmo Mobile 2 is a handheld smartphone gimbal. 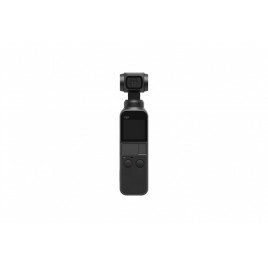 Whatever is your passion, wherever is your..
DJI Osmo - Advanced StabilizationNote: Zenmuse X5 cameras require an adaptor for use with Osmo that is sold separately. This adaptor will be available soon. The..
Reimagine movementMotion without blur. Action shots without shake. Perfect video even when you move. Thanks to advanced technologies specifically designed to keep the cam.. Create with more freedom and higher fidelity than ever before with the Osmo Pro. 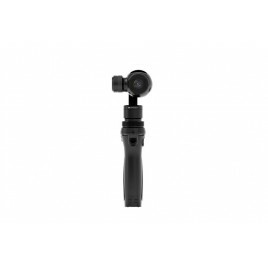 Building on the Osmo’s compact size and revolutionary stabilization performance, the Osmo.. 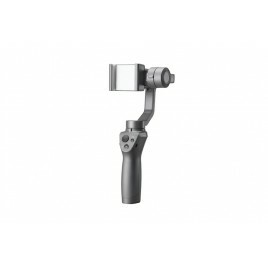 The Osmo Gimbal and Camera is specially built for the Osmo. It can be locked to protect its inner mechanical structure when not in use. It’s capable of recording 4K video.. The Carry Case is waterproof and shock resistant, and has a nice-looking Oxford fabric exterior. Use with the Osmo for safe and easy transportation. .. Designed specifically for the Osmo, the Intelligent Battery provides packs 980mAh of power and intelligent battery-saving features. Recharge using the Osmo Intelligent Ba.. The Osmo external battery extender is designed to prolong the operating time of the Osmo by connecting to external power sources such as a dedicated DJI charger or Intell.. Built for use with the Osmo Intelligent Battery. ..
Osmo 57W power adapter is used with the Osmo Quad Charging System to recharge Osmo batteries. .. The Osmo Charger is designed to charge the Osmo Intelligent Battery by connecting to a power outlet. It will take approximately 90 minutes (for HB01-522365) or 110 minute..
Osmo Battery Checker is used to check remaining power of the Osmo battery. Insert Osmo battery into the battery checker slot to view remaining power. .. When used together with DJI chargers, the Osmo Quad Charging System can recharge four Osmo intelligent batteries. It takes 100 minutes to fully charge four HB01-522365 ba.. The Osmo Base is used to fix the Osmo on tables or other level surfaces so that it remains stable without tipping over. How to InstallPress down the buckle of the b..
Replaces the Articulating Locking Arm on the Vehicle Mount. Can also be used with the Tripod to provide more stable support for the Osmo. ..
Replaces the Triple Mount Suction Cup Base on the Vehicle Mount. 1/4" screw thread allows users to attach different tools and accessories, like the Extension Rod.&n.. Secure suction cups for mounting and positioning your Osmo on flat surfaces on a vehicle. ..
Reach out further for all new angles. Combine with the Tripod for added height ..
Place the Osmo securely on almost any surface. Two different sizes are supported: 160 mm (radius) x 45 mm (height); and 260 mm (radius) x 58 mm (height). ..